Now, I know, that like me, your family keeps you busy and your money is precious, so I wouldn’t dare suggest a movie that wasn’t worth your time and money. There are also few precious weekends left this summer and you’re trying to fit in as much summer fun as possible so you’re going to need to be a little choosy when it comes to spending time in the theatre. So let me narrow it down for you. Check out these five must-see films for Summer 2016. It’s Roald Dahl, so you know it’s going to be good. The prolific author behind Charlie and the Chocolate Factory and Matilda wrote The BFG as a bedtime story for his children and now the one and only Steven Spielberg has taken it to the big screen. Few people know that Dahl dedicated this story to his daughter Olivia, who died of measles at the age of seven. There is really little more touching than a father’s ode to his lost daughter. Don’t forget the tissues. We all love the franchise, so it was only a matter of time before producers figured out we wanted to see another sequel but this time we wanted it starring four of the funniest, and most talented women in show business. It doesn’t hurt that Chris Hemsworth joins the cast, but in the spirit of girl power it’s really the funny females that are drawing us to this one. They just keep making these movies and they just keep getting funnier. I don’t know what it is about that sloth and his motley crew but they are worth my money any day of the week. We plan on picking a ‘t oo hot’ summer day, if there is such a thing, to hit the theatre and cool off with Sid the Sloth and his gang. This one is just for you. I know what you’re thinking. Star Trek? I’m not a fan so I wouldn’t understand it. Wrong! You don’t have to have watched a minute of the series to enjoy Chris Pine as Captain Kirk in this film. It’s action, it’s adventure and it’s...well, Chris Pine, so what are you waiting for? 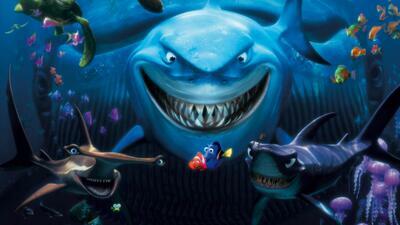 No summer Blockbuster list would be complete without adding Disney Pixar’s Finding Dory. The long awaited sequel to Finding Nemo does not disappoint. The characters are impossibly cute and entirely charming as usual. The story will keep you and the kids riveted and you’ll leave the theatre wanting more.